I have very early memories of Perla. I remember seeing them in my Ama's house's sink. My Ama would have a bar in EVERY sink in her kitchen, beside it was a laundry bar. I often wondered, why did she put Perla bars on the kitchen sink, why were two different kinds of bars? When I got older, I finally asked her - she said that the Perla bar was for the hands and to soften the washcloth that was washed using the *more matapang* laundry bar. I was still very confused really, but I understood it better when my aunt explained to me that Perla was used to make the washcloths softer again, in our generation - Perla was the fabric conditioner. Fast forward to when I was pregnant. I was told to use Perla by friends and family to launder the clothes of the baby. They said it's the mildest amongst the brands in the market. I followed this advice for the first three months Kailee. I stopped, I think because I found the scent not overly *mabango*. When Connor came, I did this same thing - launder his clothes using Perla and stopped after a few months. To be honest, I always always see Perla during my supermarket runs. I remember noticing that it had a different packaging look and realized that it was already a P&G brand! I thought to myself, Perla must really sell well for P&G to absorb them. A few weeks ago, I got invited to an intimate gathering of friends to re-introduce the brand to us. Apparently P&G sold the brand to a local Filipino company three years ago. May I just say, I came there without any expectations - but I came out there with a new sense of pride with new learnings from the brand. I'm sharing with you what I learned. Did you know that Perla started in 1952? It has been around for a very long time. It has built TRUST all these years. As your great grandmother, grandmothers, mothers and your aunts. For sure they know the brand. I'm sure they're have a little anecdote to of Perla. When I learned that Perla is 100% Pinoy, I felt an unexplainable pride in my heart. Here is a brand used by my Ama that is still available in the market! Yes, half of the Perla bar IS coconut oil. I remember my economics teacher in DLSU, she would repeatedly tell us that Coconut Oil should be our number one export. She would tell us over and over again until it's in your head forever (like me! Hahaha!) I was very very very astonished to learn this particular thing from the brand - that Perla is made of 50% Coconut Oil! Isn't that ahhhhhmazing! I personally can attest to the effectivity of coconut oil. I used coconut oil on Kailee when she had skin asthma as a baby. This made me realize, I can actually use this soap on the kids! Confession - ever since that intimate event, I have been using Perla on my face and body. I also gave Yaya Belen a lot of bars to use as she wished. I handed her one bar to use for the kids when they bathed and so far, so good! Since Perla 50% Coconut oil, that means that they need to source coconut oil from local farmers. 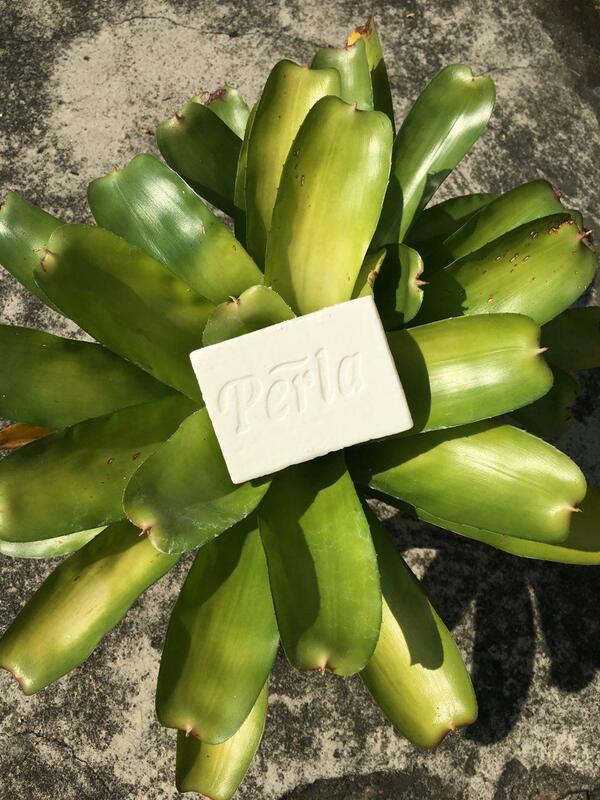 Not only is Perla very good for the skin and cleansing - it also takes it's social responsibility very seriously by supporting local farmers! It's very nice to learn that a brand that has decades of experience behind it, still supports and cultivates local coconut oil farming. And since it's made on natural ingredients - it's safe for the environment! Another brownie points for their environmental friendliness!! Woohoooo! Since it's made of 50% pure coconut oil, it surely means that it's gentle on our skin. I have heard stories from friends of friends that they use Perla on their faces. When I learned that certain celebrities were using it on their faces, I decided to try it on mine. Hahaha! So far, so goo since I have not experiences any irritation and I feel my skin is a bit more softer - it must be the coconut oil. I distinctly remember that Perla is gentle on the hands compared to other laundry soaps. The tag line used to be *Banayad sa kamay*. Harsh chemicals used to make laundry soaps affect our skin later on. I would remember our helpers complaining that their hands feel dry and the skin becomes brittle because of certain laundry soaps. Yes - it does its job in cleaning - but at the expense of your dry and very sore hands. Not worth it right? Some would say - wear gloves! It's different when you launder using your hands sans gloves. One thing I learned is that when you say hypoallergenic, it doesnt mean that there will never be an allergic reaction, it means that it is less likely to cause an allergic reaction. Please see the definition in Dictionary.com. Since my kids have eczema, it's quite stressful when it acts up. They are constantly scratching day and night. I often wondered if it's already a habit or not. Then one pedia derma told me, do you think scratching is fun? It's not a habit - it's REALLY ITCHY. It was then that I realized that I needed to look for a more gentle soap for my kids. I found two brands actually - but since this intimate lunch, I found out about Perla is made of natural ingredients + 50% coconut oil AND that Perla is hypoallergenic (since it's all natural) I decided to have my kids try it. And you know what, so far so good! Kailee said her legs feel less itchy. Connor's arms are looking great with less scars from scratches. With all of our experiments with soap, body washes, lotions and all - my kids have become critical of products we use on them. They would tell me what works and what doesn't work. And with Perla, it's really so far so good. Kailee has declared that her legs are less itchy. I personally would experience random urticaria (hives) on my arms and legs - and for the past few weeks, these allergy attacks have become less and less. I am very much impressed with Perla. The correct term would be in AWE. Who would have thought that a laundry soap, would be able to help our skin conditions. Who would have thought that a laundry soap would double as a beauty bar. 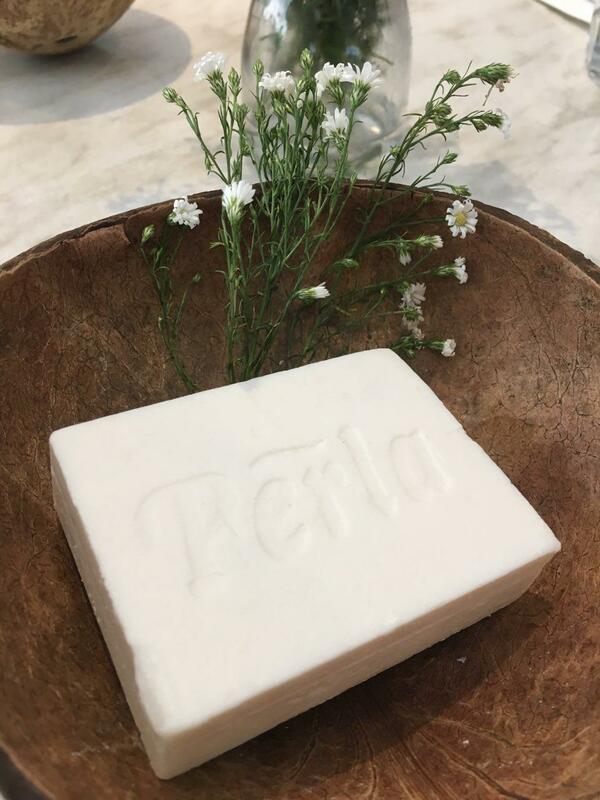 What impressed me the most are the two things - the title of this blog entry - 50% of Perla is made of pure Coconut Oil and it's 100% Pinoy. Perla is truly something that we should be proud of - something that we should patronize. I came out of the intimate event on a high. I was filled with PRIDE and inspiration. I started sharing my insights on Perla with friends and family. I am hoping that they would shift to Perla. My ama was right after all - Perla does make clothes and cloths softer as it's a natural fabric softener. That's another plus - from all the wonderful positive things that Perla has for us. Imagine, my ama has known this fact for years - and I, I just learned this recently. There is this valuable trust that the brand has built through the years. How I wished I knew then. 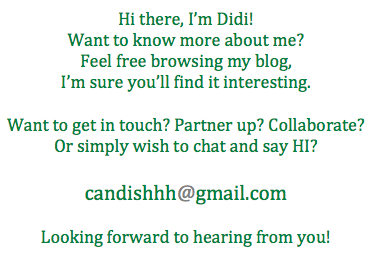 But now that I know - I want to share it to everyone. As they say, knowledge is power. I'm very excited for what's in store for Perla in the coming months.